All about Betty . . .
Betty Misheiker was born in Pretoria (South Africa) on 7th June 1919. As the youngest of 4 children, her primary years were spent in Brits and Johannesburg (South Africa). The family moved to a small town, deep in the heart of the countryside, near the Bushvelt. It was a modest village, deep in the valleys, surrounded by dark ridged hills. Her elder siblings were sent off to schools in the nearest main town, but as she was too young to go, she remained at home and her early years were lived in the company of books. She spent much time, companionless, yet her days were filled by her imagination, conjuring up make-believe companioned scenarios, like the time she imagined having a friendly elephant who took her to school each day and proudly recalls how excited shed get as hed let his trunk down to allow her to jump off at the school entrance. A few years later, Betty moved back to Johannesburg, where her career took several directions. She tried her hand at many avenues of employment; firstly a dental nurse, then a Drs receptionist, and finally, a secretary for an underwear manufacturing company. Many years later, she even entertained the idea of becoming a cartoonist (see her very first giraffe cartoon) all this before her writing talent rose to the fore. In 1939 at the beginning of the 2nd World War the still employed Betty, generously donated her services; working part-time as an ambulance driver for the mines. To this day, she is truly relieved at never having to collect any injured patients but is thankful to have been there on stand by. She recalls how strange it was to change from driving her small car, to having to manoeuvre the enormous ambulance and then to return to her small car again. She met and married her husband, Ronnie in South Africa and they were happily married for a wonderful 55 years. He worked as an editor of a newspaper, at the time, and together they raised a family which consisted not only of their own immediate children but, after her sister passed away (in her 30s) they became instant parents to her sisters children too. Surprisingly, it was within this situation, surrounded by children and elderly family members that her writing talents began. It all started when she wrote a short story about a little boy who lived in a small village where the circus came to the visit. This little boy had a huge desire to visit the circus but he had no money to enter the show. Betty described in great detail his excitement at peeping through a hole in the tent; his desperation at waiting for a miracle to happen so he could afford to enter the circus to see the live show close up. She described his anguish as he watched from a great distance, peeping through the tent until dark; his envy as all the lucky visitors sat close-up, but how, sadly, he never got to see all the excitement himself. Ronnie read this and was immediately moved; so much so, that he sent it off to the prestigious Esquire magazine and they accepted it immediately. This was Bettys first published piece; after which, various other material was offered, with the editor always responding highly with detailed reports of exact details of how the voting took place in the office. This became common practice for her pieces; accepted or rejected, and was incredibly useful; as a beginner to the literary world. this is where Chubby The Cub and the rest of the animals were born. Betty created 14 more songs this way, one after the other. Had I not been asked to create a song about a Giraffe, hence Jerry Giraffe, where would it have all gone?  requests continued for many years until Betty had completed no less than 400 songs for S.A.B.Cs Educational Childrens Programmes. It was purely a matter of great luck to be in the right place at the right time. If "Jerry Giraffe" had never been such the success he was, things may never have started for Betty in world of Childrens Education. Programme Producer for S.A.B.C, Kathleen David (a continued fan of her work) gave Betty a lot of courage and inspiration. She constantly praised her work highly and soon insisted that they were such good songs they should be recorded and she promptly set about arranging for a Producer from a Recording Company to come and listen to her songs in the studio. The songs were played on a tape whilst he sat and listened. He walked up and down, mumbling Children wont like anything new like these songs, theyre much more used to the old fashioned songs. However, as the cassette continued and the songs were played, they got to the 6th song and he immediately overturned his decision and decided to give them a try. These new songs caused quite a sensation and became HUGELY popular at the time (and they still are, even to this day). They were translated into Afrikaans whilst Betty, fluent in both English and Afrikaans, also wrote other new Afrikaans songs too. 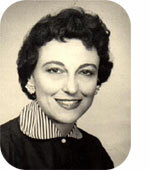 In the 1960s, Betty created the PLAYHOUSE Educational Programmes on South African TV. Here, she produced an enormous range of fun educational stories and songs; with additional jokes to entertain children. South African Broadcasting Corporation (SABC) Producer, Kathleen David, then asked Betty to make a programme about educational curriculum topics and here Betty came up with WHAT DYOU KNOW - which incorporated a new kind of fun and enjoyable way of learning. One of these Programmes was South Africas entry for the prestigious JAPAN PRIZE INTERNATIONAL PROGRAMME CONTEST held in Sopporo, Japan. This competition was mainly won by the BBC each year and Bettys Programme WON FIRST PRIZE; the coveted JAPAN MINISTER OF EDUCATION PRIZE as the best of all programmes entered under the heading of Secondary Education. No less than 69 countries competed and during the presentation Ceremony and What DYou Know was referred to as an example of how exciting and joyous the process of learning can be (1972). At every end of each year, Betty was asked to do an hour special Christmas programme and here she produced many imaginative radio plays such as Watermelons, The Old Kabbobly Tree, Emperor Kow Tow, Dear Trotwood and Alice In Wonderland; all of which have wonderful songs to them. Emperor Kowtow was Bettys first radio musical and after its first performance, it quickly grew into a play and then a longer, even more popular series. The Old Kabbobly Tree was extremely successful. It had been specially commissioned by the Marionette Theatre of the Johannesburg Civic Theatre in order to celebrate the 80th birthday of Johannesburg. At the same time, Betty created two puppet shows and these too were the highly successful Senyor Onyon and De Lappop (The Rag Doll). all for her dolls cot). Distinguished actors and actresses often appeared in Bettys various programmes. Nigel Hawthorn often read or acted in her childrens radio plays, as did Patricia Carr, along with many other leading artistes. David Copperfield was set for the English Literature curriculum at school. There were a full 88 chapters and Betty was asked to turn the entirety into her own version as a musical for Christmas day. Hence, Dear Trotwood was created. I NEVER ONCE let them down! Betty and Ronnie made a dedicated move to Jerusalem, Israel, in 1979 where Betty continued to produce material for major TV networks and publications. Even now, a devoted mother, grandmother and great aunt-grandmother, she still continues to educate and inspire children all over the world through her exceptionally entertaining stories and songs. She continued her work in South Africa, non-stop, writing childrens stories and songs for over 20 yrs and even when they moved to Israel, Betty spent a good 4 years working with the Israel TV Stations, where her material was translated into new Programmes. Betty has spent a long & successful career writing and producing a wide variety of educational material for children's programmes. She has adapted material for both Radio and TV (also Children's Theatre and Puppet Shows) and her stories and songs cover a WIDE range of topics, all dealing with educational subjects pertaining to children's daily lives. It was an enormous challenge, each week, to make a new song and story about these animals. The songs would rise out of the story and THEY HAD TO CARRY THE STORY. The music would just start singing to me. The music wasnt the difficult thing, the lyrics were the hard part. How did the animal look? In her SCHEDULE OF WORK, you will see how Betty has produced a wide range of material for many different educational programmes, aimed at Pre-School & Primary ages, as well as those in their teens. Throughout her career, Betty Misheiker has also continued to write and produce a wide range of adult plays, books and poems, several of which have won major competitions. The popularity and recognition of Bettys stories and songs has persistently expanded over a span of over 50 years and still, today, an enormous group of new dedicated generations continue to request education and entertainment by the magic of her material. It is still so exciting for me, after all these years because each generation of little ones still like my same original songs. EXCITING NEWS ALERT: GALLO RECORDS will be re-launching several of Bettys most popular childrens albums on CD later this year. Check for details which will be posted on this site.